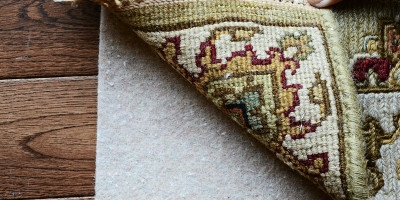 Magikist provides the perfect no slip rug pads for your area rugs. 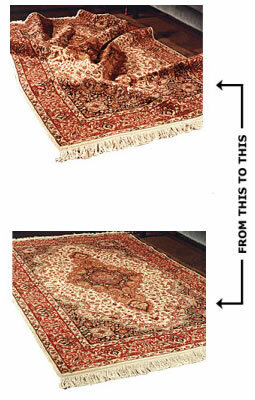 Stop Slipping and Sliding, have your rug pads custom cut so your rug stays put. Magikist has done the hard work for you. Through a combination of trial and error, customer feedback and research we have decided there are only two different style area rug pads you will ever need for your rug. No-Muv carpet rug pads are specifically designed for use between you rug and carpet to prevent “rug walking” and bunching. 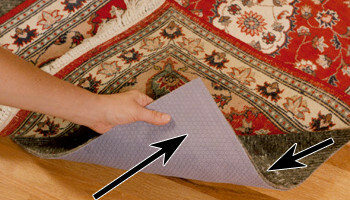 The No-Muv™ carpet to carpet rug pad will keep your rug firmly in place. ▸ Made in the U.S.A.
Luxurious feel. Maximum non-slip performance. ▸ With proper maintenance, it is guaranteed to maintain its non-slip qualities for 10 years. Solid Plus is made from a superior quality polyester fabric coated with a high-grade vinyl compound which gives the pad a luxurious feel and supports the rug evenly to help retain its appearance. Its thickness provides a rich luxurious feel and maximum non-slip qualities. 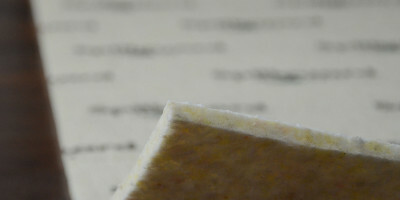 It is treated with MSM-fresh (anti-microbial to inhibit the growth of outdoor odor-causing bacteria, mold and mildew. It is fire retardant and moth proofed and can be custom cut to fit any size. With proper maintenance, it is guaranteed to maintain its non-slip qualities for 10 years. If your floors are treated with glossy finishes, such as polyurethane finished flooring – our area rug pads are 100% safe for hardwood floors. NOTE: Make sure you always follow your floor manufacturer’s instructions and wait at least 1 month after refinishing your floors before using any type of rug pad. It usually takes between 1-3 weeks for your hardwood finishes to cure and stabilize and, therefore, we recommend waiting 1 month as a precaution. Please follow the advice of your hard wood flooring specialist. Our trusted hardwood floor partner is Schmidt flooring.